Melissa Piazza, 25, wants to have her own farm by the time she’s 30. 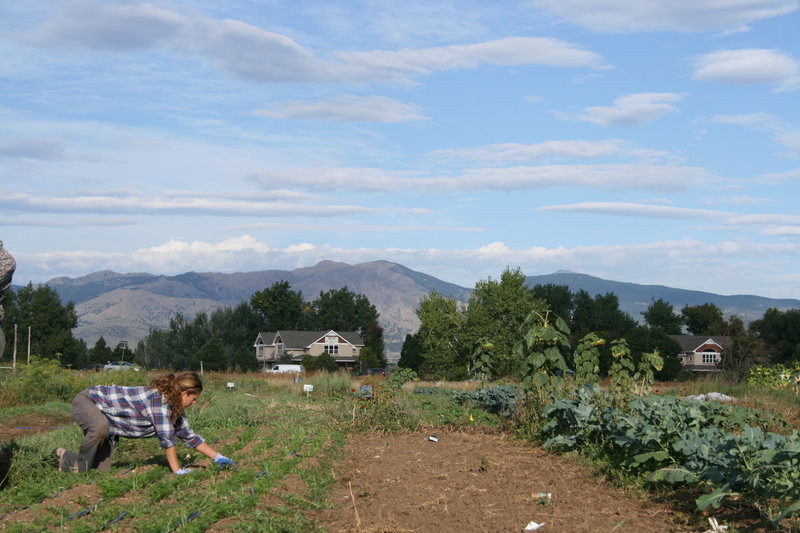 Piazza is a second-year intern at the Farmer Cultivation Center in Niwot, Colorado. (Photo by Cole Allen). 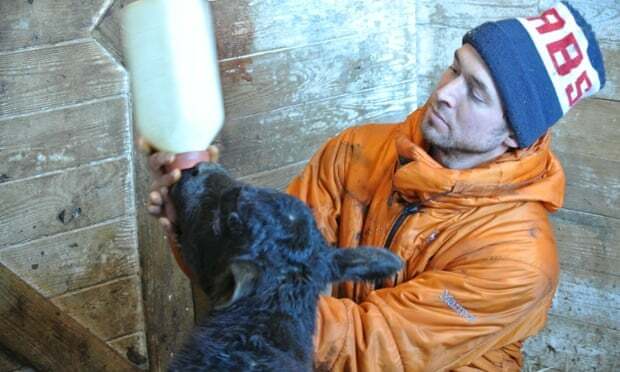 Within a 15-minute period on a chilly morning in January, the day went from good to bad for the two men who run Happy Acres farm in the town of Sherman, Connecticut. Usually, a cold winter day in the north-east makes the only functioning tractor difficult to start up and the cows slip around on ice. They were prepared for that. But on this day, the tractor broke down completely and the silage unloader, which is needed to feed corn to the cattle, failed. The two men tried to go about their morning chores on the 90-acre farm, letting their 55 cattle out of the barn, scraping out the stalls and putting down new bedding. But a broken tractor meant the manure inside wouldn’t be collected and spread over the fields, to return fertility back to the soil, and the cows wouldn’t have much to eat much besides the hay outside. Then the problems, as they tend to, compounded. With the tractor out of commission, the barn cleaner – basically a big chain that pulls cow poop through a channel along the barn – couldn’t be used until the following day, once the equipment had been fixed. Backed-up manure had caused chain links to break and pop off the gears. The new generation of American farmers? (Photo by Jessica McConnell). Lesson learned. And there will no doubt be many more to come. 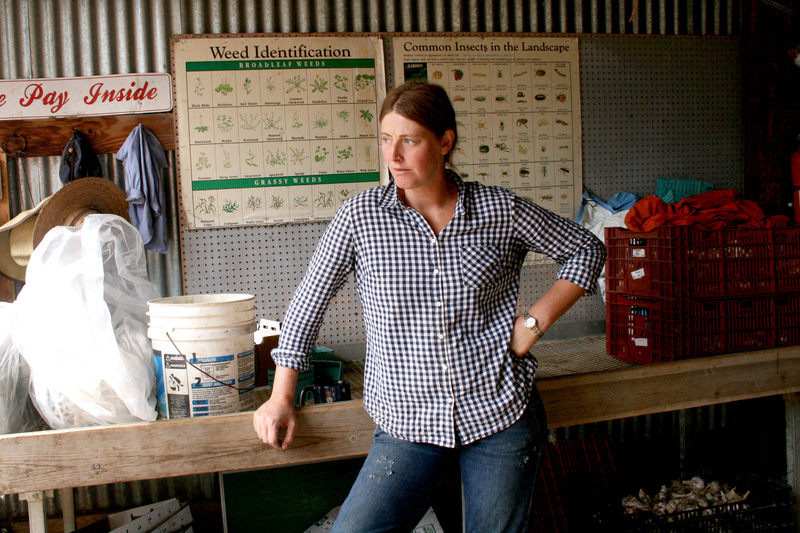 This time around I’ve profiled four women farmers in the United States who are trying to make agriculture better. 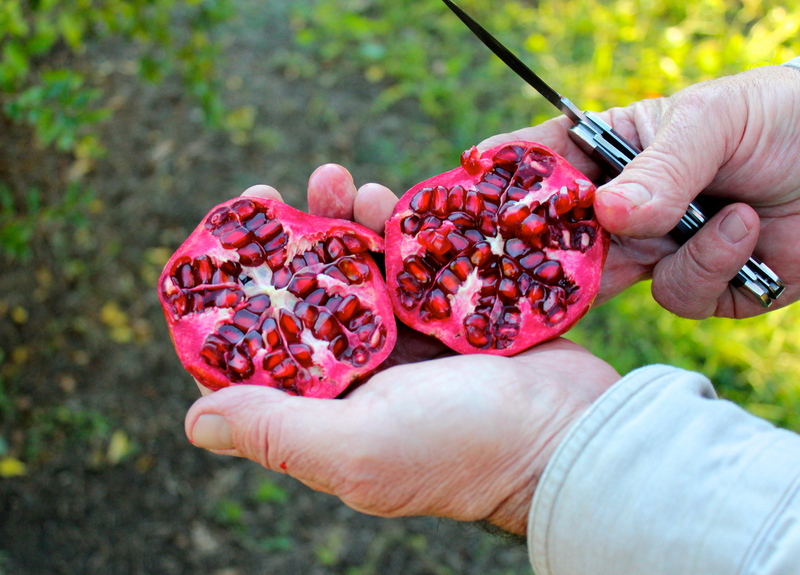 We’ve got an urban farmer, an ex-farmworker, an activist and a beginner. 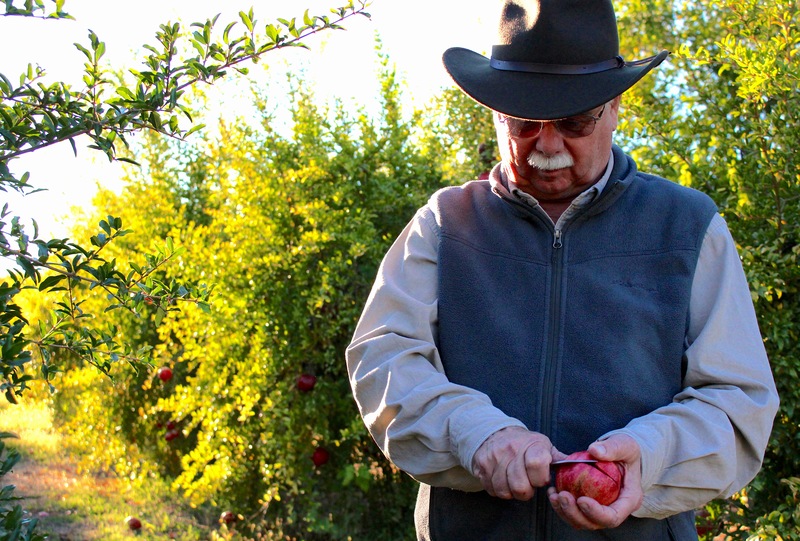 This article appears in the spring print issue of Earth Island Journal and is the fifth story in my series on American farming and food systems. Read an excerpt below. 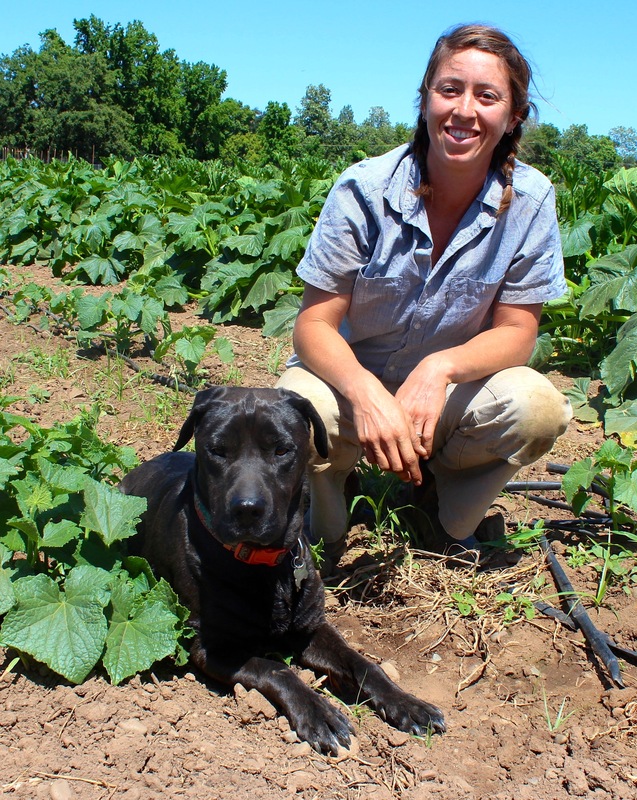 Last year, all five of the first-year apprentices at Soil Born Farms’ headquarters near Sacramento, California were women. Another young woman, Elle Huftill-Balzer, was the boss of them all, the farm manager. “It [was] a total girl-power year around here,” says Janet Whalen Zeller, co-founder and co-director of Soil Born Farms Urban Agriculture and Education Project, which oversees two farms totaling 56 acres. 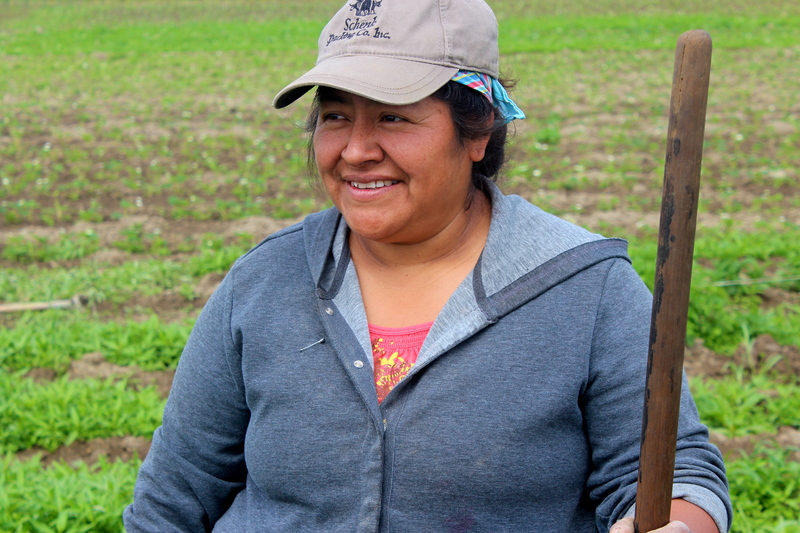 In fact, during the past few years the majority of apprenticeship applicants at the farm have been women. Zeller isn’t a farmer. She is an educator and advocate with a vision of healthy food for all of Sacramento County’s 1.4 million residents. In 2004, she and two farmers turned Soil Born into a nonprofit organization to help urban residents connect with their local food system and to improve under- served communities’ access to organic produce. Zeller can’t really explain the girl-power phenomenon, or why Soil Born’s team is such a striking con- trast to the demographic portrait of American farmers, which skews largely male. According to the US Census of Agriculture, 86 percent of the 2.1 mil- lion people responsible for overseeing the day-to-day operations of this coun- try’s farms are men. But wagering a guess, Zeller suggests that young wom- en are probably becoming attracted to sustainable agriculture because of an interest in social justice and in curbing the harmful environmental practices of industrial-scale farming. 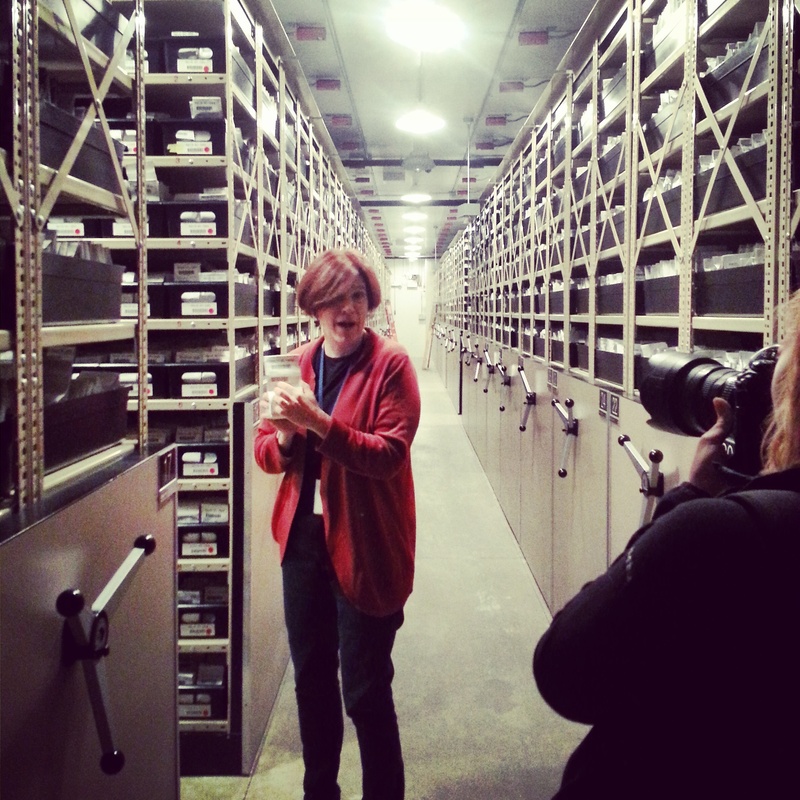 “There seems to be a cellular call to tend the earth in a more sustainable way,” she says.